Alternative Blood Pressure Therapies for Seniors: Do They Work? Recently, the idea of using alternative therapies to lower blood pressure has generated buzz in the senior citizen community, especially among seniors who are not thrilled about taking medication. An article posted on SeniorJournal.com reveals the extent to which alternative therapies like aerobic exercise, resistance or strength training and device-guided slow breathing have proven effective in treating high blood pressure. 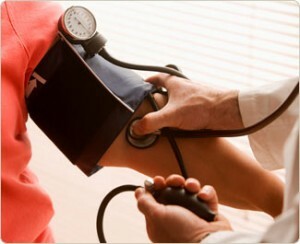 High blood pressure, a major risk factor for heart attack and stroke, is one of the chief concerns for seniors. According to the National Institutes of Health, more than half of Americans age 60 and older have high blood pressure, and nearly one in three American adults have high blood pressure. But just how effective are alternative therapies for reducing blood pressure? A panel of medical experts conducted research, which included data from 1,000 studies spanning 2006 to 2011, to address this issue. The panel reviewed three therapy categories: exercise regimens, behavioral therapies like meditation, non-invasive procedures like acupuncture and device-guided slow breathing. There was not enough data to support the theory that behavioral therapies like biofeedback and transcendental meditation significantly reduce blood pressure, although they may help decrease it by a small percentage. Studies revealed that relaxation techniques like yoga did not have a major impact on blood pressure, either. Evidence to support using acupuncture for the treatment of high blood pressure was also lacking. Device-guided slow breathing was also deemed effective in lowering blood pressure, specifically when performed for 15-minute sessions three to four times per week. Out of all the alternative therapies studied, exercise proved most effective for reducing blood pressure. Walking programs yielded modest results, while four weeks spent performing isometric hand grip exercises had a significant impact. The American Heart Association stresses that ultimately, proven methods to lower blood pressure like physical activity, managing weight, refraining from smoking and drinking alcohol excessively, eating a balanced diet that low in sodium and taking prescribed medications are highly effective and should not be replaced by alternative methods.